The NSW Government is deeply committed to a clean energy future for the State. We are working with the broad community, in business, in schools, on farms and in factories across the State to help NSW be number one in clean energy and resource efficiency. Dedicated staff right across the State are assisting the growth of community owned energy and the roll out of utility scale renewable energy. Government agencies and staff are providing professional advice and information to assist the growth of the economic, employment and environmental benefits that can arise from a clean energy industry. 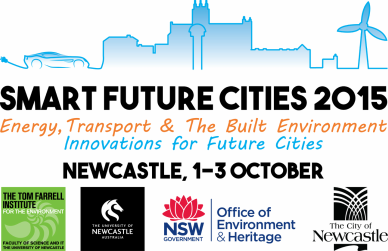 We are proud to be a major sponsor of this conference, Smart Future Cities and congratulate Tom Farrell Institute and the University of Newcastle on their great work in organising this event. We remain committed to a clean energy future through our Regional Clean Energy Program, Energy Efficiency Action Plan, Government Resource Efficiency Policy and through our work with communities and continued support of events such as this. We commend to you a clean and energy efficient future and the Smart Future Cities conference. Newcastle's vision for 2030 is to be a smart, liveable and sustainable city, which means we will be a leader in smart innovations with a healthy, diverse and resilient economy. We are Australia's seventh largest city and over the past decade the population of the Newcastle local government area has surged with significant growth in its western corridor. Newcastle City Council has embarked on numerous projects for the future growth and economic stability of our city and the Hunter Region, including the Newcastle Smart City Initiative, which aims to bring people together to make better use of technology and creative opportunities, and to build the foundations of a city and region that are continually seeking new ways to enable our communities to grow and flourish. Innovation has the potential to create competitive advantage for the city with the development of new technologies and services. 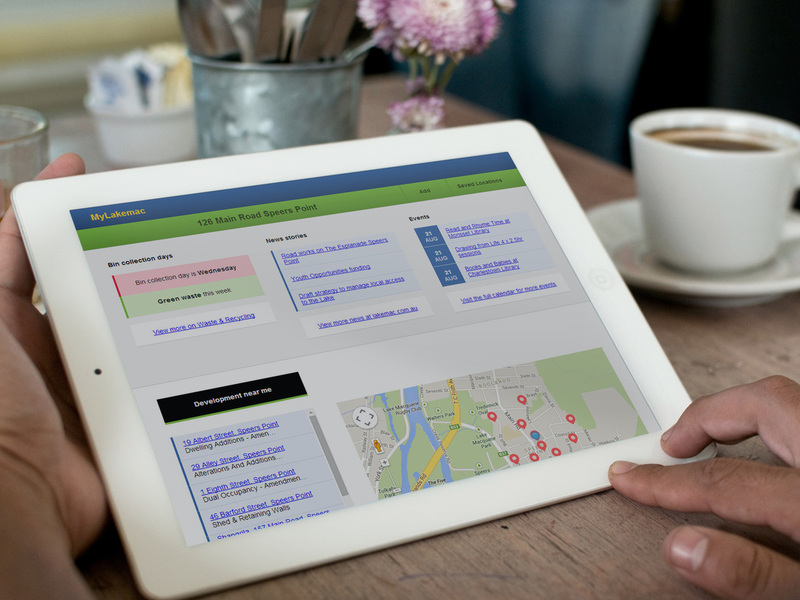 Council is responsible for providing a wide range of community services and assets. We work with local communities and business owners to improve the places we love, work and play, by supporting our business improvement associations, place making initiatives, murals in public places and other beautification projects. Council's current four priority projects are revitalising our iconic coastline, renewing Hunter Street and the CBD, maintaining and improving Blackbutt Reserve, and improving cycleways across the city and suburbs. We currently manage a diverse asset portfolio of hundreds of assets valued in excess of $1.6 billion, including Newcastle and Merewether Ocean Baths, Newcastle City Hall, Civic Theatre, Newcastle Art Gallery, Newcastle Museum and Fort Scratchley. Newcastle is blessed with scenic beauty, natural resources, an ideally situated river and port, and an active, involved community. We will continue to build upon these strengths as we develop new ones, improving the quality of life for our community. AECOM is a premier, fully integrated professional and technical services firm positioned to design, build, finance and operate infrastructure assets around the world for public- and private-sector clients. The firm’s global staff — including architects, engineers, designers, planners, scientists and management and construction services professionals — serves clients in over 150 countries around the world. AECOM provides a blend of global reach, local knowledge, innovation and technical excellence in delivering customised and creative solutions that meet the needs of clients’ projects. A Fortune 500 firm, AECOM companies, including URS Corporation and Hunt Construction Group, have annual revenue of approximately $19 billion. In the Hunter AECOM has over 100 staff dedicated to clients across a range of sectors including transportation, mining and industry, environmental, energy, oil and gas, water, urban development and government. Stramac Lighting are Australian lighting specialists providing lighting solutions to domestic, commercial and industrial markets throughout New South Wales. Renowned for their professional communication, Stramac Lighting simplifies communication between manufacturer, architect, consultant, engineers and contractors, to provide the best solution for your lighting requirements. Established in 1986, this family owned and operated business has seen numerous changes within the lighting industry over their 30 year lifespan. Evolutions in LED and Solar technologies have revolutionised the future of lighting, and Stramac is committed to embracing these changes and proud to be a part of the lighting revolution. The Clean Energy Finance Corporation (CEFC) invests using a commercial approach to overcome market barriers and mobilise investment in renewable energy, energy efficiency and low emissions technologies. Since inception, the CEFC has committed over $1.4 billion in finance to investments in clean energy projects valued at over $3.5 billion. The CEFC invests for a positive financial return, with its more than 55 direct investments and 34 projects co-financed under aggregation programs expected to achieve a positive net benefit for the taxpayer. These projects help to improve energy productivity for businesses across Australia, develop local industries and generate new employment opportunities. Visit cleanenergyfinancecorp.com.au. Lake Macquarie City Council is exploring ways to become a Smart City. That is, a city that uses new technologies to become more connected, prosperous and resilient. Council has consulted with the community about how technology can be used to make Lake Macquarie an even better place. Ideas and suggestions received are informing the preparation of the City’s first Digital Economy Strategy, laying the foundation for becoming a Smart City. With a clear strategy to guide the City, new technology used by Council and the community could generate further innovations and allow for built-in solutions, such as sensors that monitor real-time use of parking spaces, roads, footpaths and cycleways. This will allow Council, residents and businesses to make more informed decisions, creating a more efficient and sustainable City. 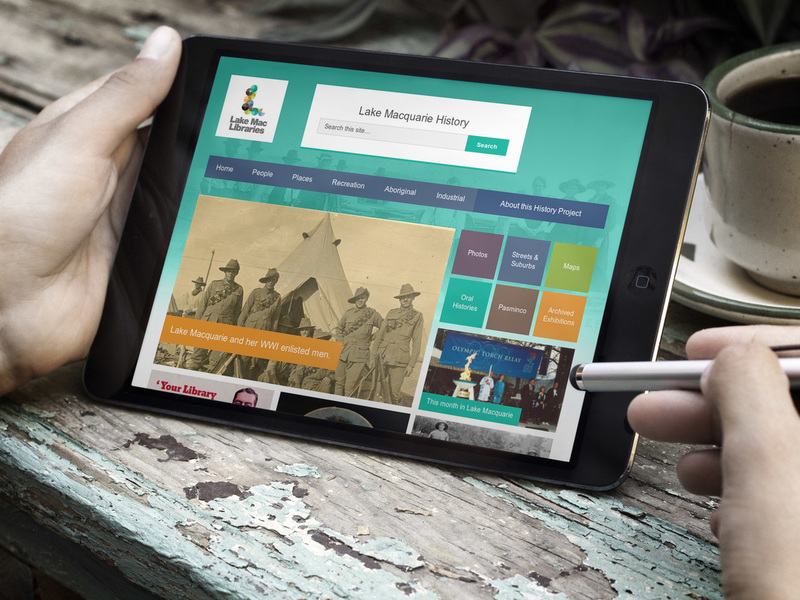 Lake Macquarie City’s Digital Economy Strategy also looks at ways to foster local innovators and businesses so that they too can take advantage of emerging opportunities including new ways to engage customers and the utilisation of open data. Council has a role in paving the way for digital technologies to boost the local economy, improve the performance of City operations and ultimately enhance the lifestyle of residents. Council has worked hard in recent years to ready the City for the future and embrace this opportunity to become a progressive and thriving regional centre. 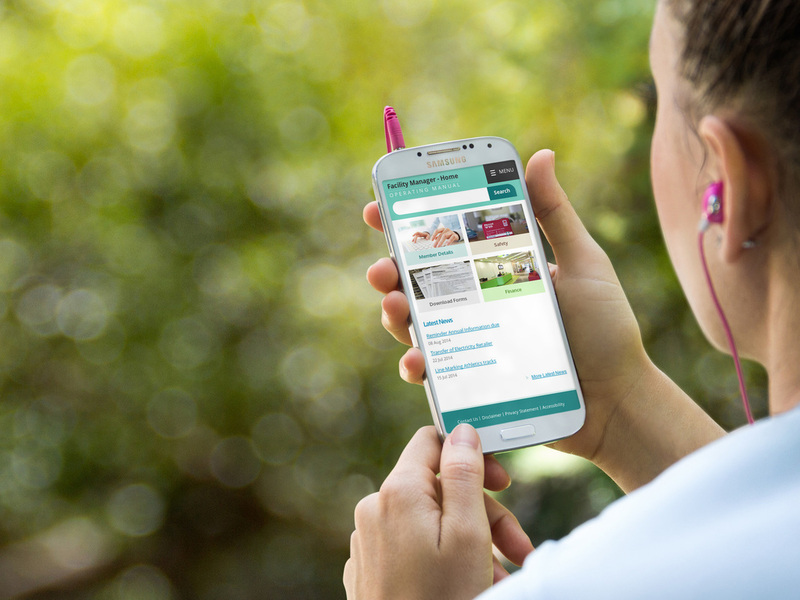 Council is committed to utilising new smart technologies and applications to boost its strategic objectives and expand its ability to engage with the community. The NSW Department of Industry, Skills and Regional Development (known as the NSW Department of Industry) leads the state government's contribution to making NSW a fertile place to invest and to produce goods and services. It thereby creates jobs and opportunities. supporting economic growth in the regions. The department's strategies are built on close relationships to understand industry's needs. It delivers a wide range of training and specialist advisory services; and helps to secure efficient and dependable government decision-making that contributes to business confidence. Newcastle NOW is the largest Business Improvement Association in the Hunter Region, tasked with driving the city centre forward and revitalising our great city. We advocate, use place-making projects, public events, partnerships with business and organisations, and strategic planning to bring life to inner city Newcastle. If you’d like to know more about what we do, visit newcastlenow.org.au, or drop into our shopfront at 137 King Street, Newcastle.